I believe only a ASUS EAH5450 SILENT(LP) Radeon HD 5450 is going to work. I'll pass on the Radeon 5450 - I already have that in my desktop (a Dell Zino 410), and its a 'meh' card - good for media, but just average for games. I've also heard that the stock Intel HD Graphics 4600 that I have outperforms it, so there's no upside to using that card. Why do you believe the R7 250 would have power issues? I'm happy to have it explained to me that I'm wrong, but my line of thinking was that the R7 250 uses only the PCI Express x16 slot for power (i.e. up to 75W) and doesn't require any 6- or 8-pin power plugs, and the 75W is something that any motherboard should provide per standard. Thats why Fanless cards are used because they cannot afford the power for the fan. All sizes of ×4 and ×8 PCI Express cards are allowed a maximum power consumption of 25 W. All half-height cards are initially 10 W; X16 cards may configure themselves as 'high-power' to reach 25 W, while half-height ×1 cards are fixed at 10 W.
In that case, I'd best stick with the Intel IGP. I've been digging into the power limitations a little further, and am probably more confused than ever! Firstly, according to Wikipedia, the PCI Express specification does state that x16 low profile cards are limited to 25W draw. However, on the Dell.com (i.e. US) site, one is able to configure the OptiPlex 9020 SFF itself with an AMD Radeon HD 8570 card. 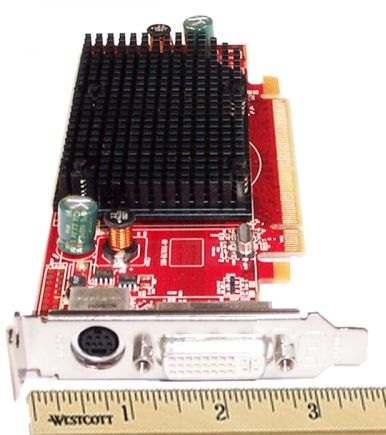 This card has a 66W TDP despite it being low profile. 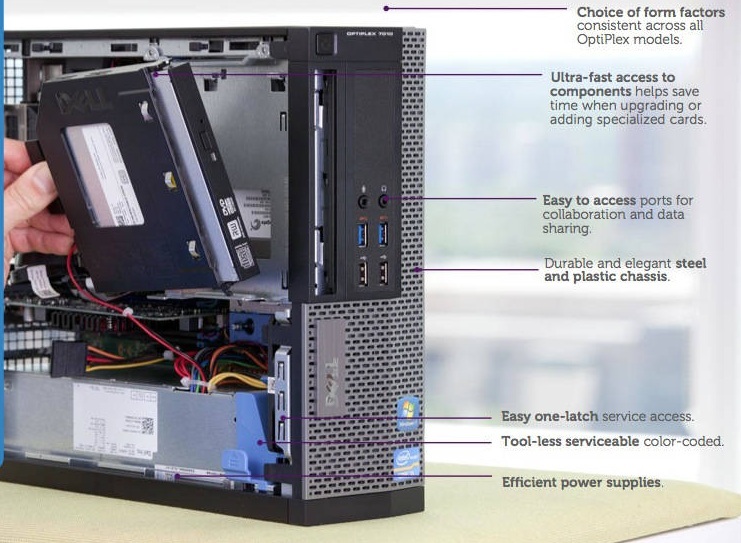 The support manual states that all OptiPlex 9020 SFFs ship with a 255W 90% efficient PSU. I've examined my motherboard, but don't see any wattage indications similar to what SpeedStep has posted. I know that Dell have bespoke motherboards for their models. So, are they providing additional power to the x16 slot to enable power draw > 25W? "8570 ddr3, LP, 1 DP 1 DVI"
This is not a pick from anywhere off the shelf card. It has DDR3 vs GDDR5 ram to save power and is likely underclocked 64% so that it draws 25W or less. Power usage is slightly higher for the GDDR5 card—12 watts under idle and 68 watts at load, compared with 4 watts and 24 watts for the DDR3 version. it is over a year, pls can you update the topic and pick up some new graphics card, which can fit in Dell Optiplex 9020 SFF. PSU is 255w.